I cannot tell a lie; writing this appraisal of the new movie The Muppets means that I must compensate for a certain amount of bias. You see, I love the Muppets, and always have. They were a huge part of my childhood – not only as a source of entertainment, but as part of my cultural development. It was the Muppets who helped teach me to appreciate humor and parody, and their movies were likely some of the first musicals I ever saw. They showed me what irony was, and unlike most cartoons and other childhood entertainments, they taught me that being different and special, as all Muppets were, was far more important that trying to achieve some unattainable perfection. Therefore, when the extremely clever and funny parody trailers for the first Muppets film in years began popping up a few months ago, I was more than simply intrigued; I was genuinely excited. Of coure, despite my excitement, I am still keenly aware of how easy it is for a film to fall short of expectations, and this film has expectations upon it greater than my own. On its shoulders rests the legacy of a franchise that has been kind of off the radar of mainstream culture for a very long time. It’s hard to gauge whether this film will be successful at reversing the fortunes of Jim Henson’s classic creations, but if it doesn’t, it won’t be because The Muppets was a bad movie. If anything, The Muppets is exactly what many of my generation would want it to be: a warm, fuzzy cloud of nostalgia, laced liberally with humor, and leaving in its wake a fair share of laughter (“the third greatest gift of all”) and tears. It probably doesn’t need to be reemphasized that even though the Muppets may be a core, comforting part of our childhoods, our childhoods were farther away than most of us would care to recognize. It’s actually been a full twelve years since the Muppets last released a feature film (though they’ve had a few scattered made-for-TV movies, specials, and straight-to-DVD films in the interim), and that film, Muppets in Space, actually lost quite a bit of money at the time. In fact, the Muppets have been such cold product for the last fifteen years, that when I obtained my DVD copy of The Muppets Take Manhattan some years back, it was because it came free in a box of cereal. There’s probably a slew of reasons one can come up with for why the Muppets have fallen into semi-obscurity; most of which probably have to do with stuff like the dawning of a more cynical age, key demographics aging out, and innovations in CGI and special effects making older performance arts like puppetry seem almost obsolete. 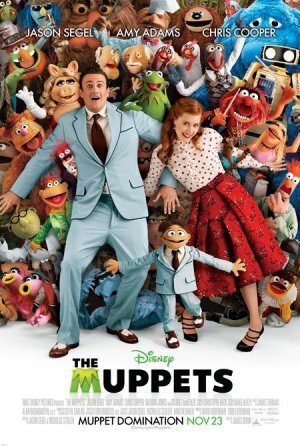 If this new Muppet movie has any chance at all of being successful, it would have to prove that it can appeal to both the older audience who remembers the Muppets fondly, and a new, younger, hipper audience. To do the former, it naturally has to feel authentic to what the Muppets, way back when, used to represent. Strange as it may seem, the Muppets were kind of the original hipsters. Their style, typically, was to recreate and parody the cornball antics and hackneyed humor of bygone ages. Then, with either a wink or sigh of exasperation, they would mock themselves for how hackneyed their antics and humor were, sometimes even breaking the fourth wall to do so. But while the Muppets and their humor was always ironic, it was never cynical, and to a kid’s perspective, most importantly, they were neither patronizing nor pandering. And because they showed their audience the courtesy of respecting their sophistication, the Muppets engendered a deep reservoir of honest sentimentality and affection from their fans. 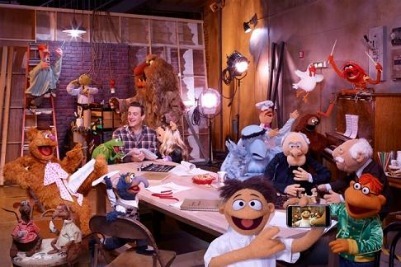 I also feel the Muppets benefited from seeming almost alive; they are, after all, real physical puppets operated typically by the same performers for several years on end, and because of this they became imbued with the details, quirks, idiosyncracies, and long term development that were typical of real life celebrities . Once upon a time, I would daresay, it was a collective childhood fantasy to someday get to meet an honest to goodness Muppet; in some strange way, they were fictional characters who almost transcended fiction. Even if it only ends up being for a one film payday, The Muppets is a fitting return to form and prominence for our forgotten heroes. The human casting for one is pretty spot on; Segel, a life-long Muppets fan and the film’s co-writer, is himself pretty much a human Muppet (and he even has a song acknowledging this fact), and Adams, just as she demonstrated in Enchanted, can basically be a living cartoon character when a part needs her to be. Chris Cooper is also quite fun playing against type as the villain (or at least against his normal type of villain) – he’s helped by a “maniacal laugh” and a musical number you’re going to wish you could rewind and watch again and again. The puppetry on the Muppets (Muppetry? ), performed by a whole new generation of puppeteers and vocal performers, is fortunately as strong and authentic as it always has been. It’ll remain to be seen whether the newest Muppet, the comparatively normal Walter (performed by Peter Linz) has staying power, but as an audience surrogate he more than suffices. The musical numbers, too, prove entirely fitting for a Muppet movie, and they wisely include a reprise of my favorite Muppet song, “The Rainbow Connection,” a number which may be even more relevant today than it was in 1979. 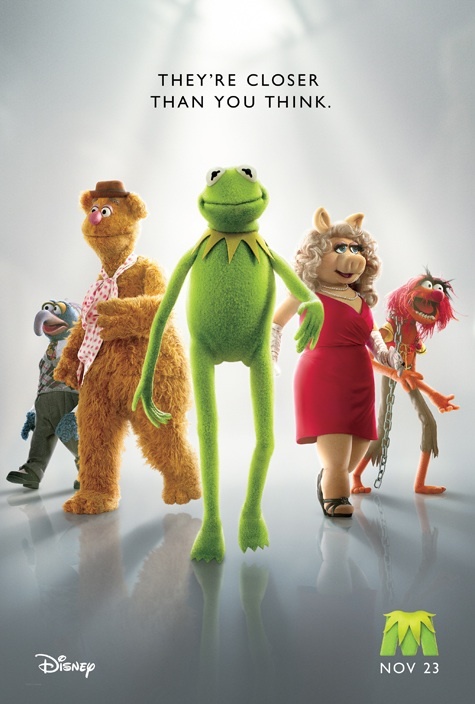 Though The Muppets was produced by Disney films (who bought the intellectual property rights to the Muppets in 2004), by all reports the company’s executives gave their filmmakers’ leeway to work their magic with limited corporate oversight; the result is a beautifully crafted film made by people who quite evidently grew up with the Muppets and understood precisely their style and appeal. If I have any complaints about the film, it’s that it kind of gave short-shrift some to some of the secondary Muppets when it came to screen time, such as Rowlf the Dog, Scooter, Bunson & Beaker, and, my personal faves, Statler & Waldorf. Some of the celebrity cameos, a staple of the Muppets for their entire history, also seemed sometimes a little underwhelming compared to what they could have been, save for a thoroughly appropriate end credit montage. Riding the wave of its excellent online marketing campaign, The Muppets is well-poised and fully capable to carry through on its promise of nostalgia and hilarity to those, like me, who remember them from out childhoods. Whether or not it will be able to attract a new audience of younger viewers, many of whom weren’t even alive when the Muppets were last relevant, well, that still remains to be seen. I do know this, though: when I saw the film, I was sitting in front of a couple who were taking their young daughter to the movies for the first time. About halfway through the movie, it did my heart good to hear her laughing almost as loudly as I was. Posted on November 24, 2011, in The Antiscribe Appraisals (Reviews) and tagged muppets, segel. Bookmark the permalink. Leave a comment.